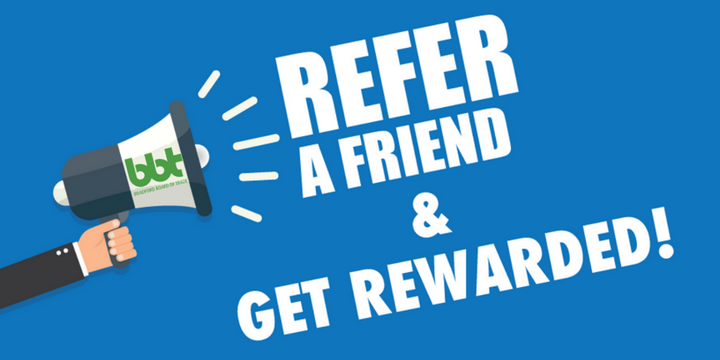 We’re excited to launch our Member Referral Program. We invite our members to invite their friends to join the Bradford Board Of Trade. For every new member they refer, that member will receive a 10% discount off their membership renewal! Our best advocates are our own members. This is our thanks for your continued support. Please note that referrals must be new members to the BBT (not renewals). The discount will be applied to your annual renewal for your membership. One new member = 10% discount, Two new members = 20% discount and so on.